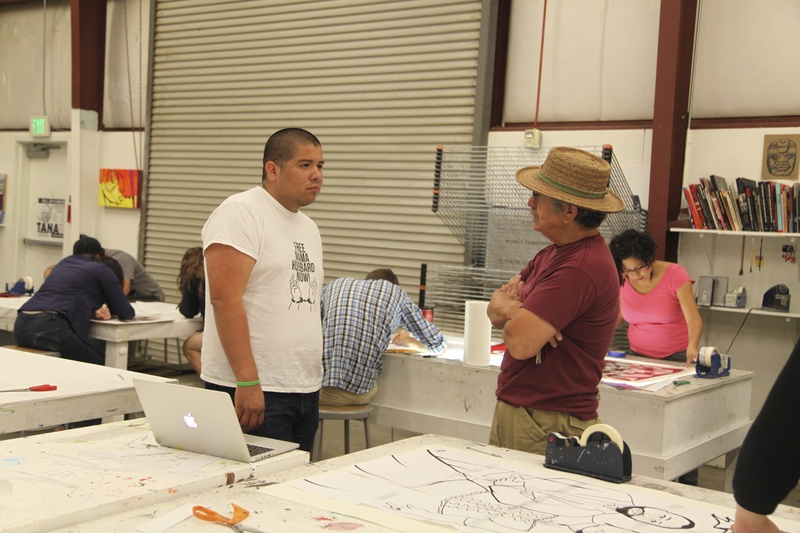 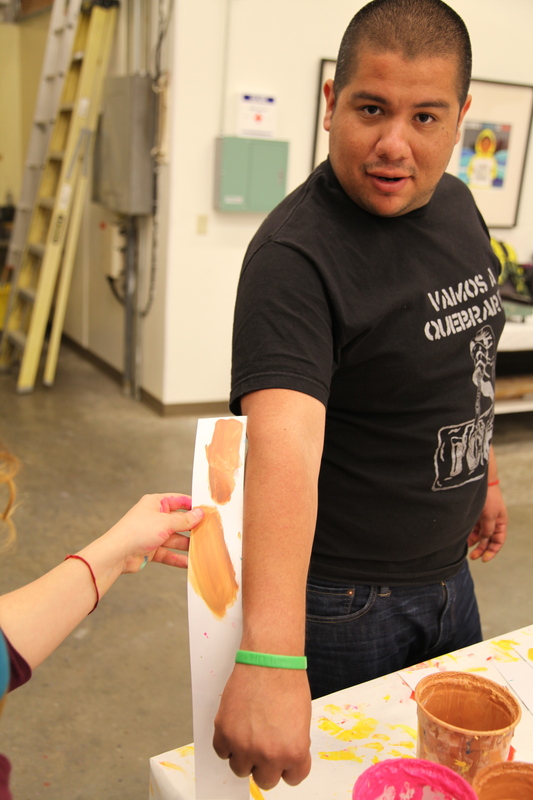 Over the weekend of May 10th, TANA had the opportunity to host two guest artists, Favianna Rodriguez and Julio Salgado. 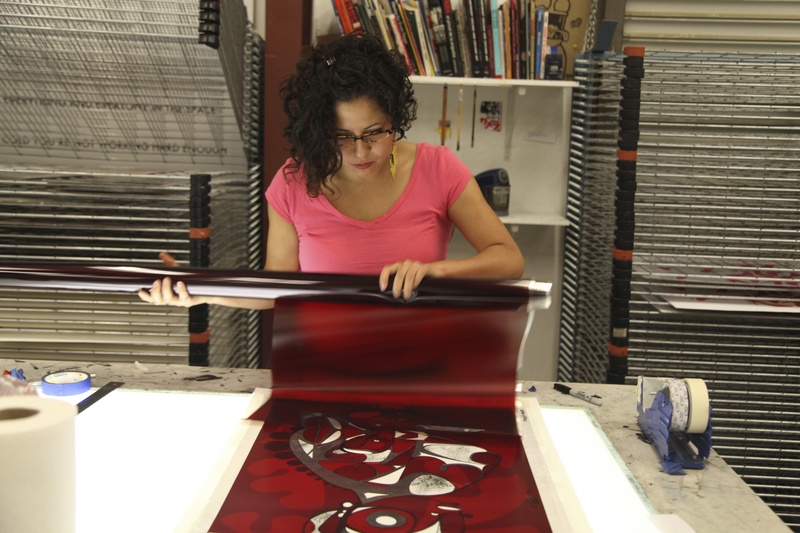 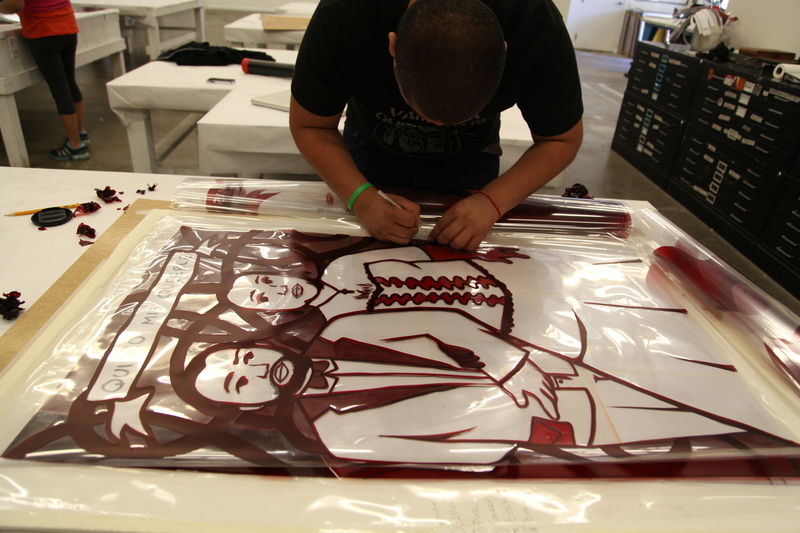 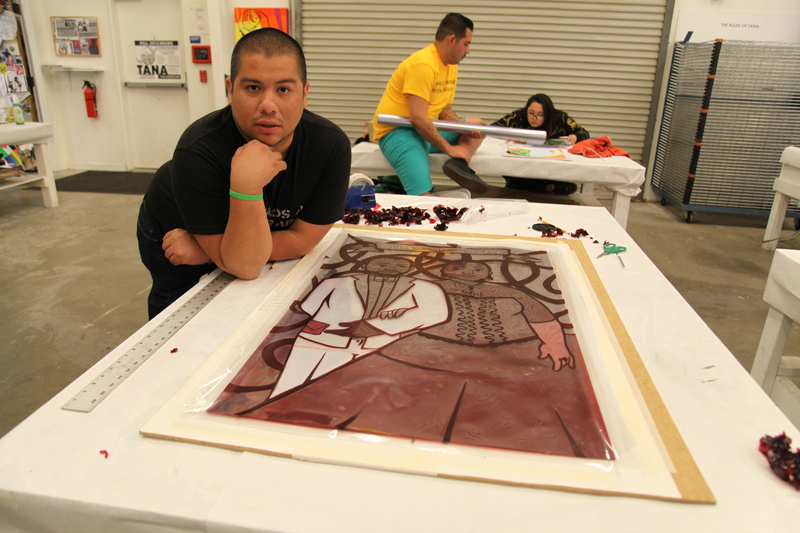 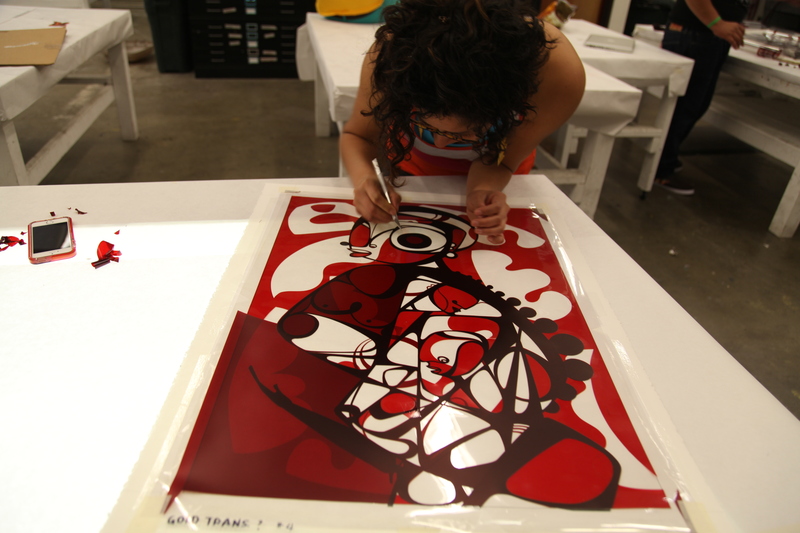 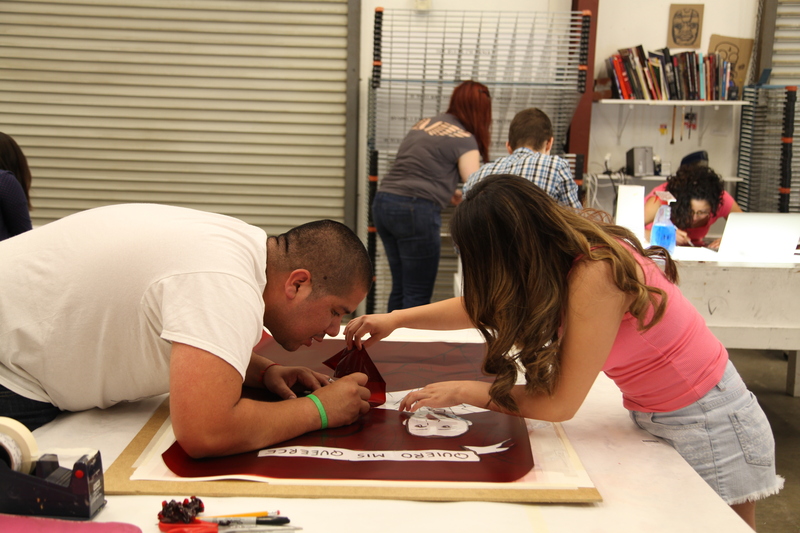 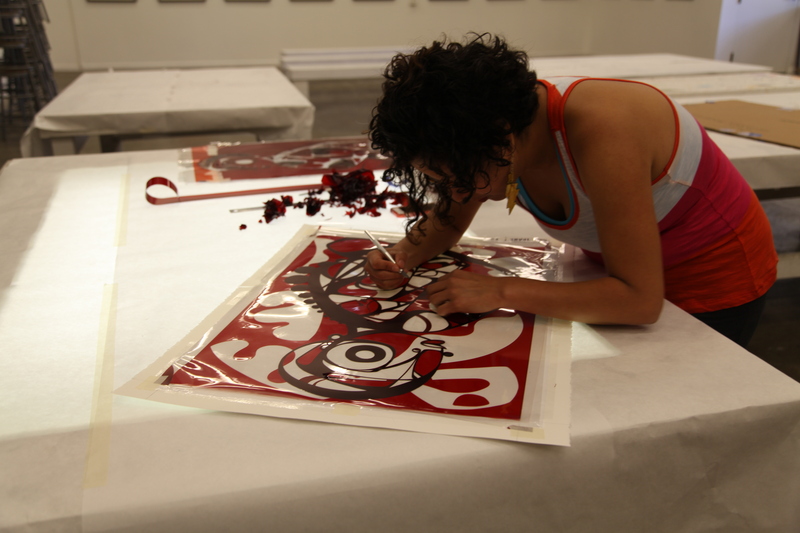 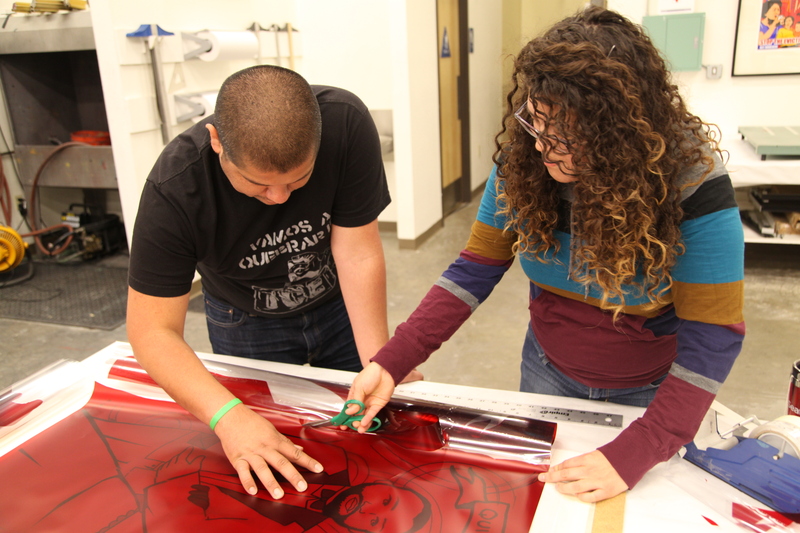 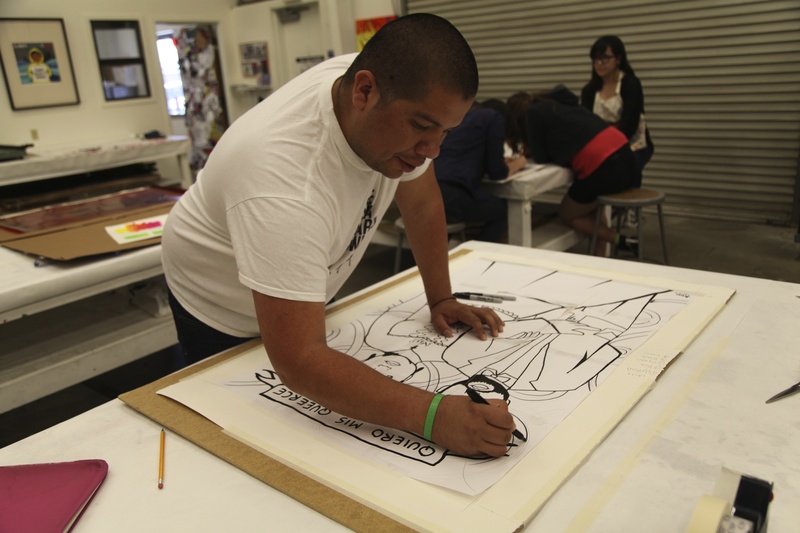 During their visit, Favianna and Julio both developed a print. 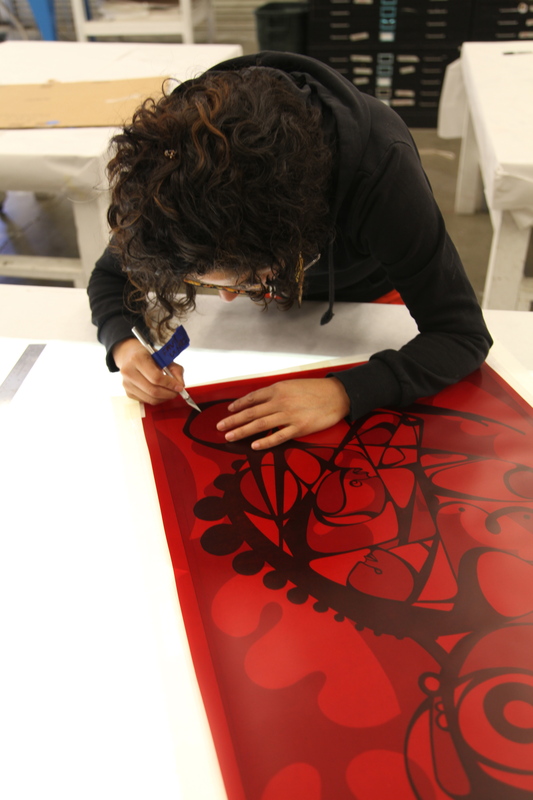 These prints will be printed at TANA as part of an ongoing professional portfolio with guest artists. 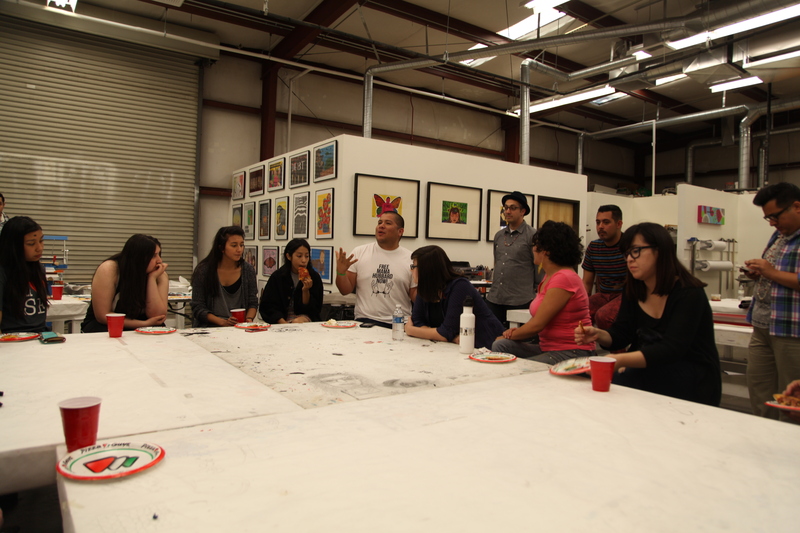 On May 10th, Favianna and Julio also gave an educational talk about their art practice and experiences in engaging community through activism and art. 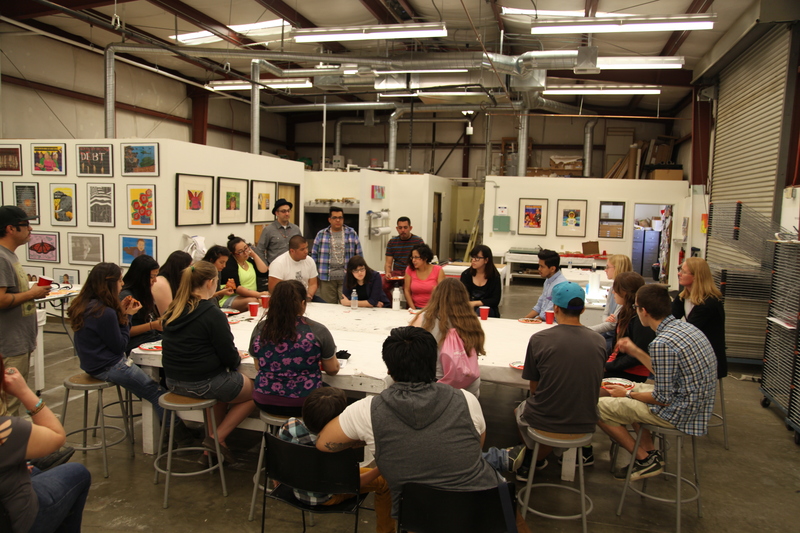 Below are some photos from their visit. 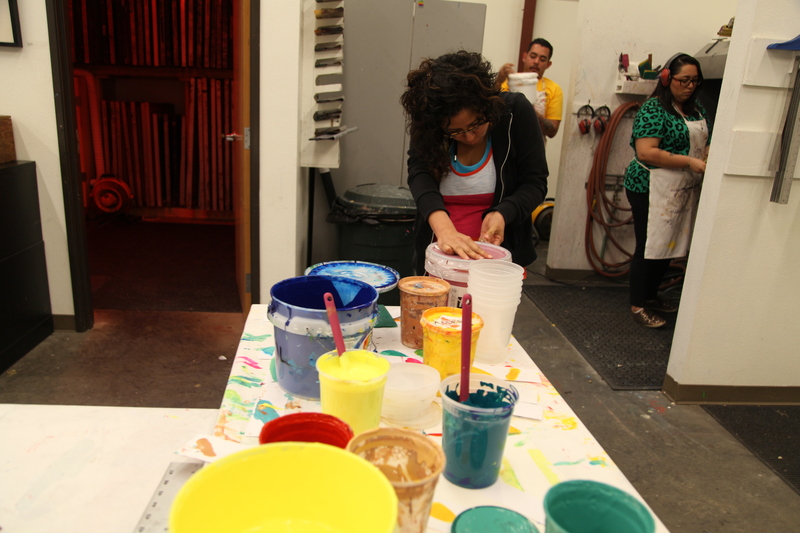 We hope that you enjoy them and will consider joining TANA for future events by guest artists.